We all want to be better at paddling. We spend hours training both on and off the water. We push to become better and develop our individual selves. 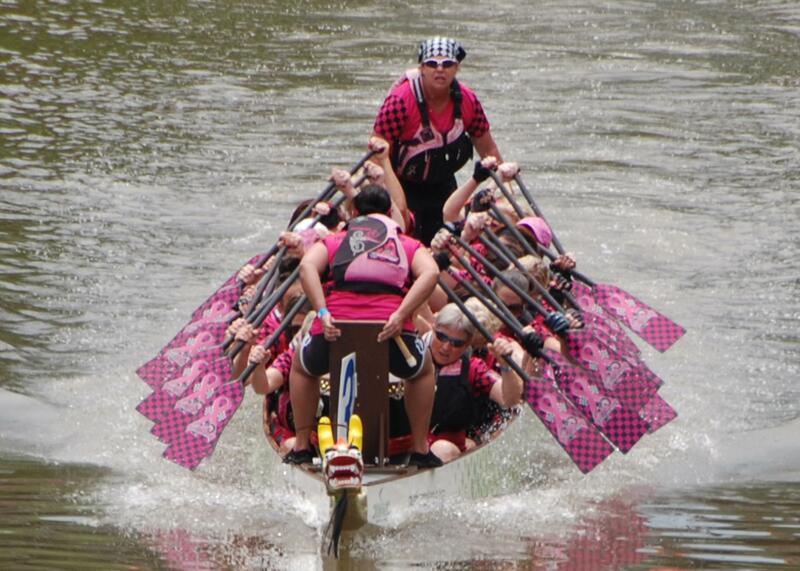 However, dragon boating is a team sport that requires the collective efforts of the club. So, what habits can you incorporate into your discipline that will not only help you, but also help your team? Here are 10 principles to adhere to in order to be a better teammate. 1) Listen to your coach. Listen to the coach’s feedback. Not just when it’s directed at you, but all the time. The coach’s message is always a good one to hear. When he or she is reminding a paddler to engage the core, it certainly doesn’t hurt you to hear the same reminder. When your coach is explaining the mechanics of a specific part of the technique to an individual paddler, there is quite a lot of value in that. Don’t tune out just because the coach isn’t talking directly to you. Pay attention. Absorb it. Internalize it. No one is 100% perfect in their stroke. Everyone can learn from a detailed explanation, whether it is meant for you or not. You have asked your coach to coach the team for a reason. Listen to him or her. 2) Celebrate the successes of others. Sure, we are all competitive. We wouldn’t be dragon boaters if we weren’t. However, it is important to acknowledge the triumphs and achievements of your fellow paddlers. You are on a team for a reason. Individual successes of teammates add up to great successes of the team as a whole. Why wouldn’t you want to see your fellow teammates develop and enhance their skills? Celebrate that improvement. If someone on your team just beat your time trial, be happy for them. Sure, it means you might no longer be on the race boat, or you might not be the fastest paddler on the team, but look at the bigger picture. It means that your team is getting stronger and faster and that is a good thing for the club overall. 3) Respect your teammates’ time. Show up to practice on time and while you are there stay focused. Everyone has to commute to practice to one extent or another. Respect the fact that your fellow paddlers have made the effort to get to practice. Don’t waste their time by being late or not giving 100%. 4) Let go of your ego. No matter where you stand on the team in terms of ability, there is always room for improvement. The loss of humility leads to the loss of improvement. When a paddler thinks that he or she is above everyone else on the team, it inhibits individual growth which, in turn, hinders the growth of the team. There is no room for arrogance on the team. 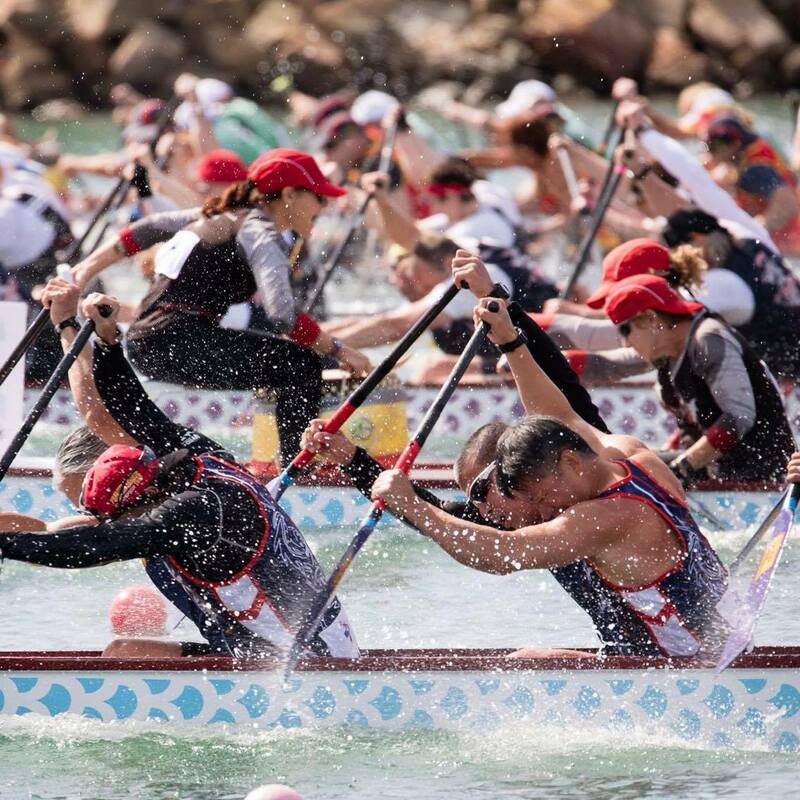 Dragon boating is not an individual sport. Teams don’t run themselves. It is a lot of work to keep the team running smoothly and many hands make light work. Help the team captain by serving on a committee, fund raising, helping with events, etc. The whole team will benefit from your efforts. Individual successes of teammates add up to great successes of the team as a whole. Tweet it! We all give up our free time to attend practices and compete in races. We leave our families and friends at home as we train to fight for the gold. Acknowledge your teammates’ efforts after training sessions and, most importantly, don’t forget to thank your coach, steer and strokers. Without them, you wouldn’t have a very productive practice and, in turn, your team wouldn’t be where it is. Sure, some steers are more experienced than others, but no matter what, it is imperative to trust your steer and focus on your own paddling. If you are worried about what your steer is doing, you are distracted and you will not be able to do your own job as a paddler. You can read more about the role of your steer here. 8) Set realistic goals and determine the path towards achieving them. Your motivation will be inspired by having objectives. What would you like to accomplish this season? How will you help strengthen your team on the water? Use your club as the catalyst for your own personal growth. Know that the team is relying on you to be at your best at every race. 9) Go the extra mile. It’s easy enough to sit back and let others do the little things like getting team equipment out, getting the boat prepped for practice, bailing the boat after a rainstorm, pitching in to help repair the boat when needed, etc. But if everyone assumed that someone else would do it, the work would never get done. Take the initiative to do what needs to be done. It is everyone’s responsibility to help the team, but going the extra mile will benefit the team in a multitude of ways. This should go without saying, yet it seems important to include. Everyone on the team should be working hard for the advancement of the team. Yes, it will be difficult. Yes, you will feel pain. Yes, you will be pushed out of your comfort zone if you are training seriously. Everyone is working hard. Everyone is pushing themselves. Imagine the team being collectively focused on their training and one person starts whining about how hard the practice session is. What happens? The intense focus that the team had has now been broken. Instead of a “we can do this” attitude, everyone starts thinking, “yeah, this is hard, this hurts.” Whining is never productive and will only serve to bring the team down. Working on your own personal improvement is necessary, however, it is imperative that you don’t neglect the team as a whole. The unified efforts of the team are what bring success on the water. No matter how strong individual paddlers are, if a team doesn’t work together, the culture of trust and respect won’t be there and the team can’t go far. Consider the “we” before the “me” and contribute to the development of your team.